Windows XP is a very old operating system that is barely used anymore. Microsoft no longer makes updates for it, and its pretty much obsolete. But what if you could run it on your iPhone? Well it turns out you can do just that with a cool application called iBox! This app emulates the operating system on your device, allowing full use of its features. It may not be the fastest as it lags a little bit, but that fact that it works at all is awesome. Obviously this isn’t a practical way of using Windows XP. This is mainly meant as a cool thing you can try out yourself. The newer your device, the better the operating system will run. Older devices such as the iPhone 5 might not be able to run this very well, if at all. I’d recommend trying this on the iPhone 5s or newer. This is not intended to be used as main operating system. The OS will lag a little bit, and is mainly just to show that it is possible. This will work better on newer devices. Older devices such as the iPhone 5 may not be able to run this very well, if at all. Once the iBox app has been installed, it will stop working after 7 days due to the certificate being expired. To fix this, you will need to reinstall it using the instructions below. This does not require a jailbreak. This works on any iOS version. Download the iBox application from the link above and save it somewhere. Then download the latest version of Cydia Impactor (a program made by saurik) for your operating system from the links above. Extract it and open the ‘Impactor’ file. Once it opens, make sure your iOS device is plugged into your computer. Select your device in the drop down menu. Find the iBox app IPA file you downloaded earlier and drag it into the Cydia Impactor tool. If a warning appears, click ‘OK’. You will be asked to enter your Apple ID. This is used only to create a certificate for the iBox app to be installed and will not be visible to anything other than Apple’s servers. Once you have entered your Apple ID and password, click ‘OK’. The iBox app should now be installed on your device. Once the iBox app is installed, open Settings and navigate to General>Profiles & Device Management and find the iBox app profile (should be your Apple ID). Open it and click ‘Trust’ twice. Download the Windows XP image file from the link above and save it somewhere. Open iTunes on your computer, and navigate to your device in the top left. Once there, click the ‘Apps‘ section and scroll down to the ‘File Sharing‘ area. Click on the iBox application in the left menu, and you should see an empty menu on the right. Click the ‘Add File…‘ button at the bottom and browse for the Windows XP image file. Once selected, it should begin transferring to the device. Open the iBox application on your device and tap the ‘+‘ button in the top right. First, give the virtual machine a name (such as ‘XP’). Tap on the ‘Drives‘ button, followed by the ‘+’ button in the top right. Select ‘HDD‘, then make sure the ‘c.img‘ file is selected under ‘File Name‘. Tap the ‘Done‘ button in the top right. Go back to the previous menu, then set the startup disk to ‘HDD‘. Under the ‘Video Configuration‘ section, set the ‘Extension‘ option to ‘None‘. Tap the ‘Save‘ button in the top right, and the machine has been created. 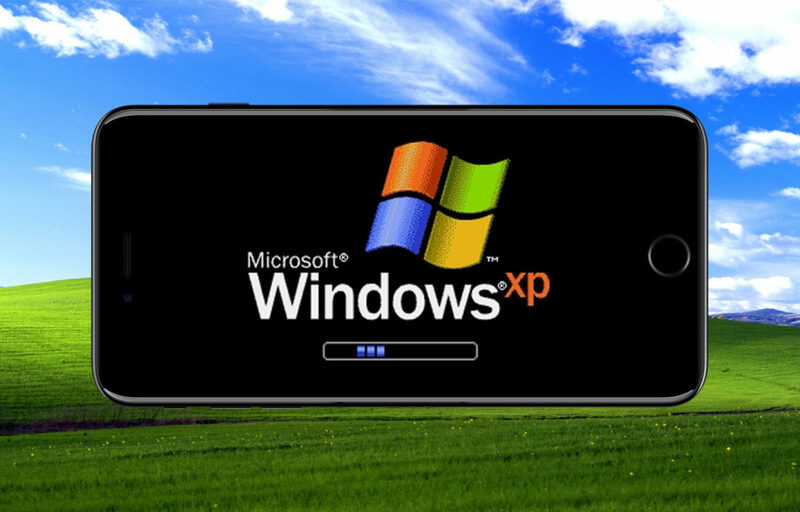 Top launch Windows XP, tap the machine you just created in the main menu. This will begin the boot process of the operating system. This can take quite a long time, so be patient. If you get any errors or blue screens, you must have done something wrong and should go back and check your settings. If all goes well, after a while you should have a full Windows XP operating system running on your device!